Pa ti beer Pearl • cultural and creative arts areas to the Pearl River - InBev International Beer Museum as the basis, in the top of the tunnel now Modiesha and riverside area into a "beer culture Square" and "Beer Street along the river", and strive to build an ornamental , entertainment, educational, artistic, open, international beer, creative arts and cultural district, a vast number of tourists about the history of beer culture and tourism destination, as the general public a good place for leisure and consumption, the final fight in southern China's largest beer culture and leisure center. Pa ti beer Pearl • creative arts and cultural area of ​​the building while the Pearl River to beautify the landscape, the 2010 Asian Games in Guangzhou, the Pearl River night to attract visitors, increase for a new consumer, entertainment, visiting tourist attractions. 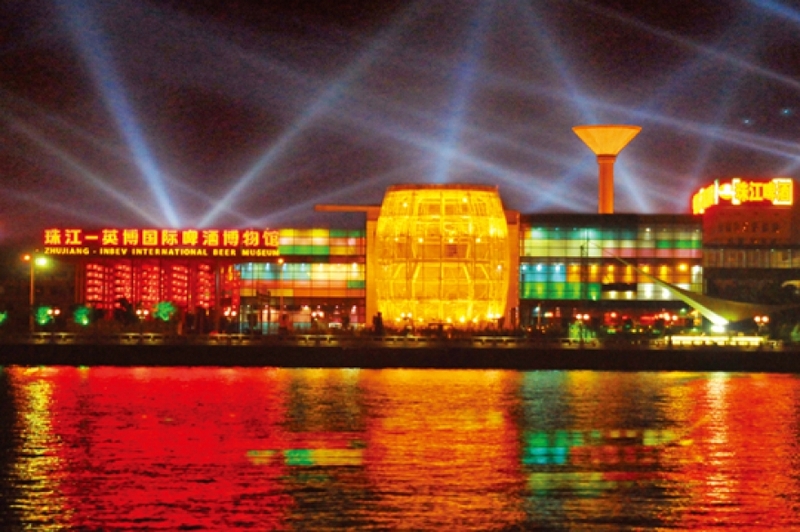 With the Pearl River New City, Hoi Shaya transport venues across the river, and a new landmark in Guangzhou, Chigang embassy district, the Pazhou International Exhibition and other important financial and political center is the same strain. Transformation has been incorporated into the project headquarters in Guangzhou economic development plan ("Pearl River New City - Members of the village - Pazhou" CBD Central Business District), and as one of the first to start a project, get city and district levels of government attention and support. Pa ti beer Pearl • cultural and creative arts district building: beer theme parks, industrial sculpture park, art gallery, private collection of museum, art galleries, luxury goods exhibition; matching beer experience zone, wine art gallery district, cigar products Kam area, catering area and other elements of a European style and function, and has built marina, parking available for the Pearl River cruise travel day and night. Pa ti beer Pearl • Creative Arts District, Guangzhou City, the future will be the most influential travel and leisure center, a future tourists, will travel to the place, and even become Haizhu, Guangzhou tour of the new card.